Harper Simon sure knows how to write a love song. In the sweetest of harmonies, "Berkeley Girl", is a heartfelt ode to a past lover, current friend. Brings hope that you can be friends with your ex's. This song and video are just so precious, that I think every girl would hope even their current lover to jot down lyrics so romantic. Under the golden hue of this video it's like you entered a vortex of record album covers in action. 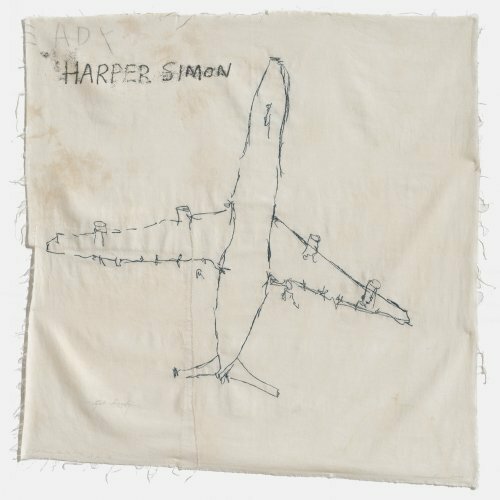 If Simon's folksy sounds ring a bell of a certain other Simon, then you wouldn't be shocked to know Harper is indeed Paul Simon's son. Glad to see talent this rich go to another generation, but maybe you already knew that since Ray posted about the album in July here . Berkeley Girl is set to released September 13 on PIAS recordings. Yes that is the girl from Donnie Darko, Jena Malone, in the video. SO PRETTY! !